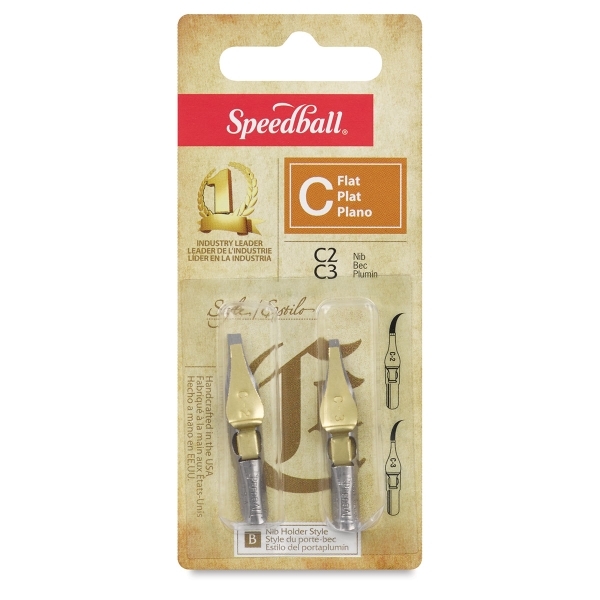 Speedball makes these long-lasting, standard dip nibs for all types of lettering with ink and other water media. Choose from 3 styles and various widths. Use a standard penholder (not included). These flat chisel points are designed for creating roman, italic lettering, texts, accented line drawings, scrolls, and scripts.